Bar 44 will be open Tuesday to Sunday from 11.30 am until 11 pm serving food all day. Last bookings will be at 10 pm. The atmosphere is very authentically Spanish tapas bar, and so is the food. Portions are quite small but that reflects real tapas. A great place which benefits from being independently owned and run. Fantastic food, wonderful service and especially love the sherry pairings! Very good all round - nice atmosphere, good food, decent prices. 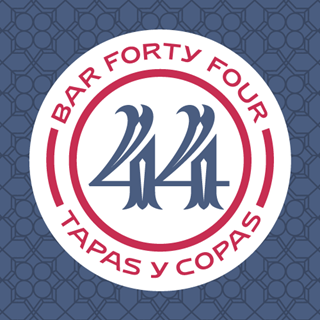 I went when Bar 44 firsts opened and it has developed into a confident, accomplished casual dining restaurant. Have eaten in Westgate Street and Clifton restaurants and very satisfied. Bar 44 Bristol never fails to let us down - outstanding service, fabulous food, and lovely vibe. Our favourite place to eat and drink in Clifton Village by far. Great evening and fab food. Thanks! Excellent Sunday lunch. Can’t wait to return. Lovely tapas restaurant offering a great selection of dishes in great surroundings with a buzzing atmosphere. We really enjoyed all of our tapas dishes and the recommendation of the beef from our waitress was well recieved too. Cocktails are very good as well! Booked for family meal for my sons 21st . The service was excellent , the waitresses were superb and the food was lovely . It’s my second visit in a week , I love the place. Love the place. The staff are very friendly and efficient. Been there about 6 times taking different friends to show them what a fun atmosphere. Excellent food and first-class service from Bruno, thanks! Absolutely brilliant!! Possibly the best Mothers Day lunch we've ever had. We will definitely return! Cannot rate the quality of food and attentiveness of service highly enough. A favourite of ours for these very reasons. Great evening dining in the private vault room. Service and atmosphere was superb and the food was unbelievable. Well worth a visit. Yes I would definitely book again. Had a wonderful meal and evening. Service was fantastic and were given good recommendations on the Sherry. I was delighted at the quality and flavours of the dishes, my multiple food allergies were not an issue. Was great having the separate allergen menu. We went for dinner when we were entertaining customers. They gave us a sherry tasting experience, which was brilliant. Excellent food and friendly, efficient staff. 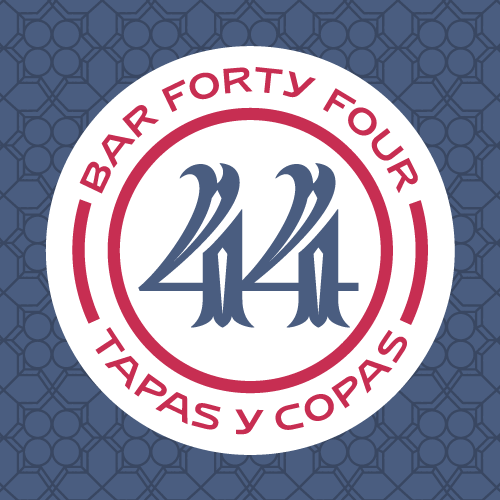 Our group has already lunched at Bar44 three times and will be going again.